Millwall Football Club has called in The Communication Group to handle public affairs and stakeholder relations, as it pushes ahead with plans to regenerate the area around home ground The New Den. The Championship club has appointed the agency to help communicate its plans to local decision-makers. Plans to turn the area around the ground into a 30-acre 'major sporting and housing-led regeneration' project were unveiled in July 2010. At that time, Millwall chairman John Berylson stressed the significance of ensuring any potential redevelopment fits in with the club's vision. The proposals will see as many as 2,700 homes built, plus local sporting facilities. TCG will primarily target senior figures on Lewisham Council, which owns the freehold on the stadium. The agency, headed by newly appointed chief executive Nigel Kennedy, will also try to engage residents in the process and to gain coverage in the local media. TCG's public affairs MD Tanya Joseph, who is leading the account, said a key aim was to raise the profile of the club as a developer. She said the club wanted to be seen as 'a local business and an active member of the community, rather than just a football club'. Wider regeneration plans for the area have been submitted to Lewisham Council by property firm Renewal. Last month, the South London Press reported that Millwall fans had gathered more than 1,000 signatures and set up a Facebook group in protest at plans to close a 'family friendly' clubhouse next to the stadium. At the same time as winning the business with Milwall, TCG has welcomed Kennedy as its new CEO. Kennedy took up his post this week after barely four months at Gardant Communications, which he joined in October 2010 as a partner (PRWeek, 8 October 2010). Before Gardant, Kennedy spent a decade as global chief executive at Grayling. He originally joined TCG in its infancy in 1986. 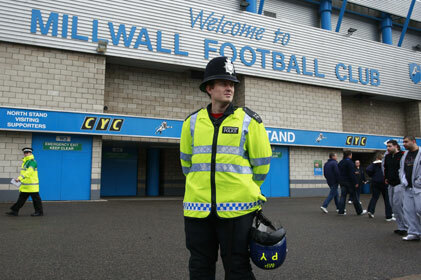 This article was amended on 10 February to make clear that protests regarding the closure of a clubhouse are not linked to Millwall FC’s regeneration plans.